Winter’s back. We’ve had a pretty mild winter here in Missoula (much to Cali’s dismay), but after a couple weeks of 40s and 50s and melting snow, we woke up to a couple of inches of new snow on Friday. Actually, I woke up to the distinctive scraping sounds of the guys who zip along our sidewalks on ATVs with mini-snowplows, clearing the sidewalks by 6 am. It’s miraculous. Cali greeted the new snow with delight and romped around a bit on the “grassy” area by our patio. Once I was fully dressed, we ventured out for a walk. The snowplows are reliably followed by the bucket brigade, spreading blue snow melt stuff. It’s salt and other chemicals. It’s terrible for dog feet. Some dogs are very sensitive to it; I remember a puppy I was training crying in pain as soon as his feet came into contact with it. Cali’s feet seem tougher, but I am very careful to wipe them with a towel and with baby wipes (organic, natural ones) so that she’s not licking the salty stuff off later. I rub Musher’s Secret into Cali’s feet every week or so. It creates a barrier that protects her pads. It helps protect against hot pavement in the summer, too. For hairy-footed dogs (like Cali), regular trims are helpful. The less hair there is between the dog’s pads, the less the snow balls up and sticks, which can be very uncomfortable for the dog. 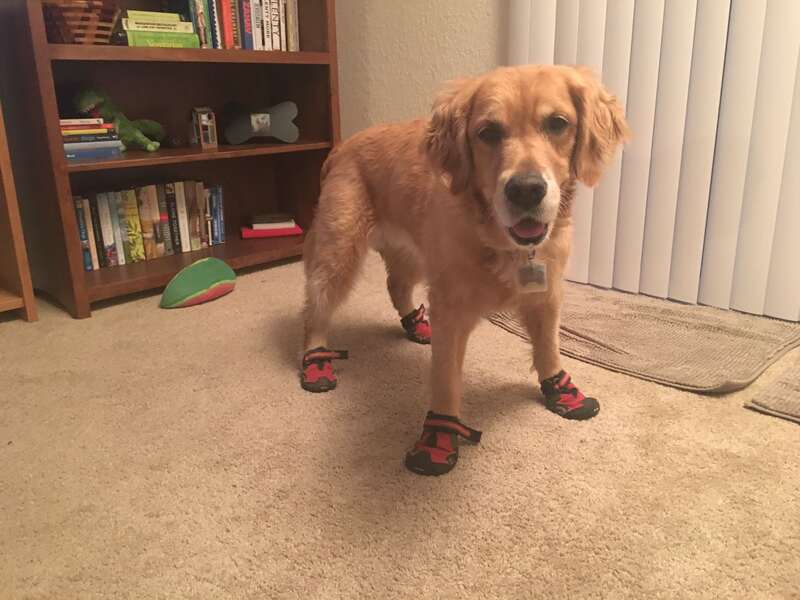 For dogs who walk on snow, snow-melt chemicals, and ice often, boots are a good idea. Most dogs dislike this idea, but they can often be convinced (bribed) to wear their boots. I haven’t tried this yet, but I’ve heard that vet wrap — that stretchy elastic bandage wrap that comes in bright colors — can be wrapped around the feet to improve traction and provide a barrier to the ice and chemicals. 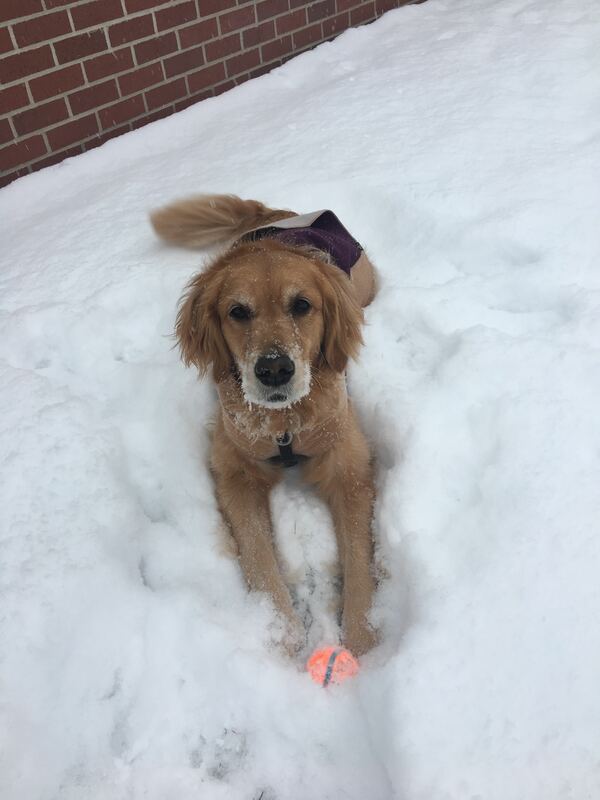 If you take care of your own sidewalks, choose pet-safe snow melt. It’s more expensive, but less caustic to the pup’s feet. Do you have other tips? Please share! Have a safe and FUN winter!